Great Opportunity For The People In Assam Rifles Technical And Treadmen Recruitment Rally, Please Enroll Yourself For This Before 14Th Of January, 2019. Please Do Read The Recruitment Notification For More Information, It's Given Below. Technical & Treadmen (Group B & C)→749 Vacancies. 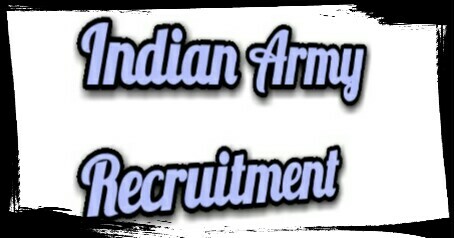 Total Number Of Vacancies →749 Online Assam Rifles Recruitment Vacancy. * Eligible Criteria For Assam Rifles New Vacancy 2018 -19. Age Limit →18 Years Is The Minimum & 28 Years Is The Maximum Age Limit. Educational Qualifications →10th Class Pass & ITI Certificates Holders. Mode Of Examination/Selection Process →Physical Standard Test/ Physical Efficiency Test/ Written Examination & Medical Tests. Online Application/Examination Fee →For Group B Examination Fee Is ₹200 & For Group C ₹100, And ST/SC Are Exempted, The fee will be deposited online by the candidates in to SBI Current Account No. 37088046712 in favour of HG DGAR, Recruitment Branch, Shillong - 10 at SBI Laitkor Branch IFSC Code - SBIN0013883. Date Of Rally →28th Of January, 2019, Onwards. Result→ For Information Related Written Exam Date, Admit Card & Result, Please Follow The Official Website Here>Assam Rifles Official Website. Now Apply For Assam Rifles Recruitment Notification 2019. Thank You & All The Best, Till Then Stay Safe And Blessed.